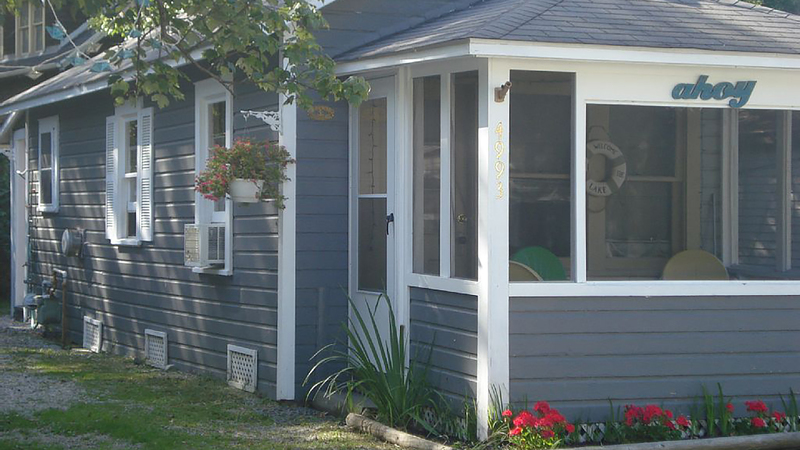 Thanks for thinking of Ahoy Cottages for your vacation rental at Geneva on the Lake! Captains Quarters and Crew Quarters are just feet from the strip with a view of beautiful Lake Erie form your front porch. Great for families! Whip up some BBQ then sit back and enjoy the nice breeze off the lake. Since 1869, families have flocked to the number one summer vacation spot in Northeast Ohio renowned for its beautiful Lake Erie shoreline, relaxing outdoor activities and the famous ‘Strip’ packed full of arcades, amusements, restaurants, nightclubs, and much much much more. Even a new Zip Line! Our family has called Geneva-on-the-Lake our summer home away from home for generations and we look forward to making you feel at home while staying with us. Wishing you a delightful vacation at Ahoy Cottages, thanks again for anchoring with us! PS – Follow us on Facebook to see what’s happening in Geneva-on-the-Lake, any specials we might have running, guest book postings from other guests and more! 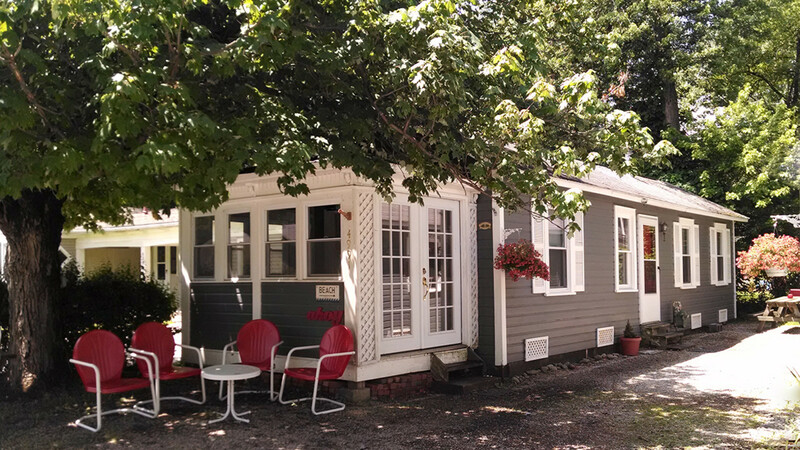 Captains Quarters, offers an updated non smoking cottage that can sleep up to 6. Includes Time Warner Cable and WiFi, a queen size bed and TV in bedroom, queen size sofa bed with flat screen TV in the living room, full size bathroom, full kitchen (includes full size refrigerator, stove, microwave and coffee maker). Enclosed front porch can sleep 2 more on futon. You can sit in front of cottage and watch the people go by on the strip while you cook on the gas grill. 1 bedroom cottage that is just steps off of the Geneva on the lake strip Cottage can sleep four with queen size bed in the bedroom and full size sofa bed in the living room Kitchen comes with electric oven microwave coffee maker toaster and dishware Cottage has window air conditioning and ceiling fans in the living and bedrooms You can sit and relax on the screened in porch, enjoying the lake breeze. When you’re looking for Geneva on the Lake Cottages, you’ll be glad you dropped anchor with Ahoy Cottages!